We are a manufacturer and trader in the market for providing Plastic Agricultural Tray, Plastic Egg Tray, Biscuit Tray, Chocolate Trays, Food Packaging Trays and more. 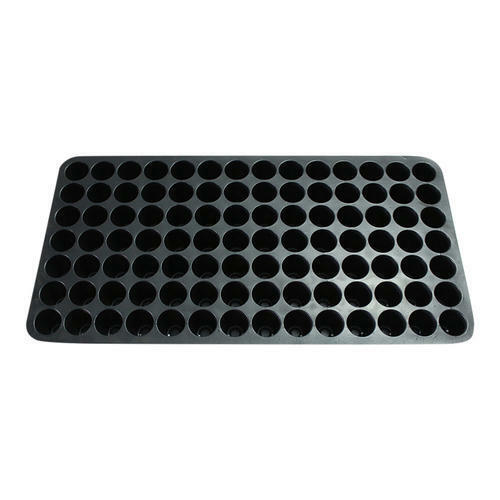 We manufacture and trade an exclusive range of Plastic Agricultural Tray, Plastic Egg Tray, Biscuit Tray, Chocolate Trays, Food Packaging Trays and more. these are specially developed using exceptional grade raw material that is at par with the quality standards and norms. In addition to this, our products have gotten huge acceptance in the market due to their excellent durability, Optimum finish and good strength. Food Packaging Trays Manufacturers in Gurgaon HR.